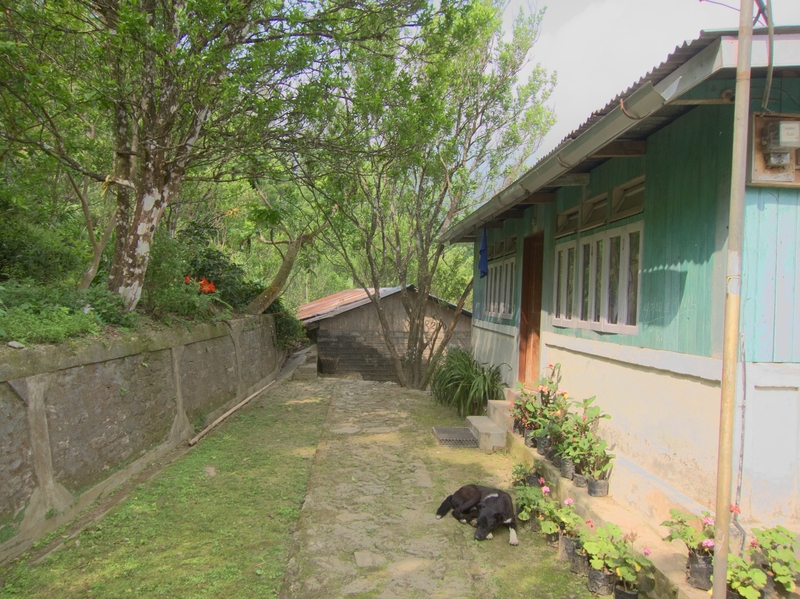 In my post about the Sanjukta Vikas Cooperative at Mineral Springs in Darjeeling, I had mentioned that I spent two days in Zimba’s Home Stay. 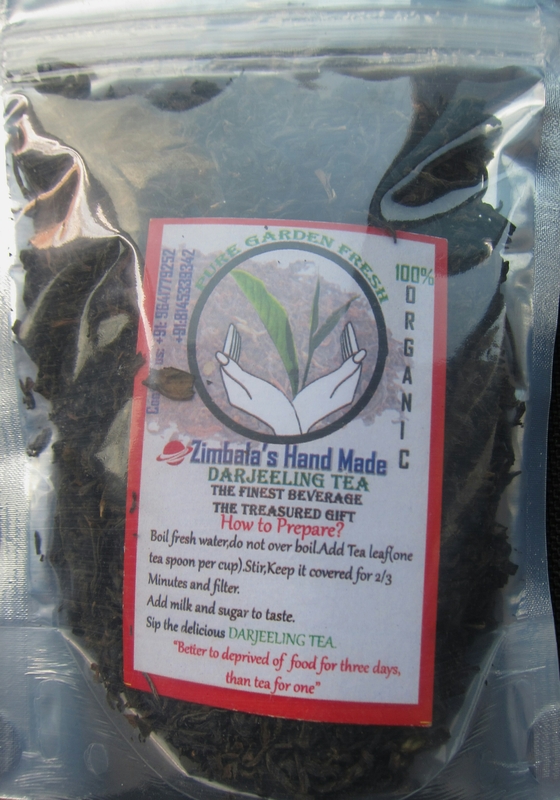 “Zimba” is the home of Passang, who is a member of the Cooperative. He grew up on Mineral Springs and along with his brother, Kisan, he farms his family’s ancestral land. Their village is called Ambotay, in honor of an ancient mango tree that overhangs the main road. 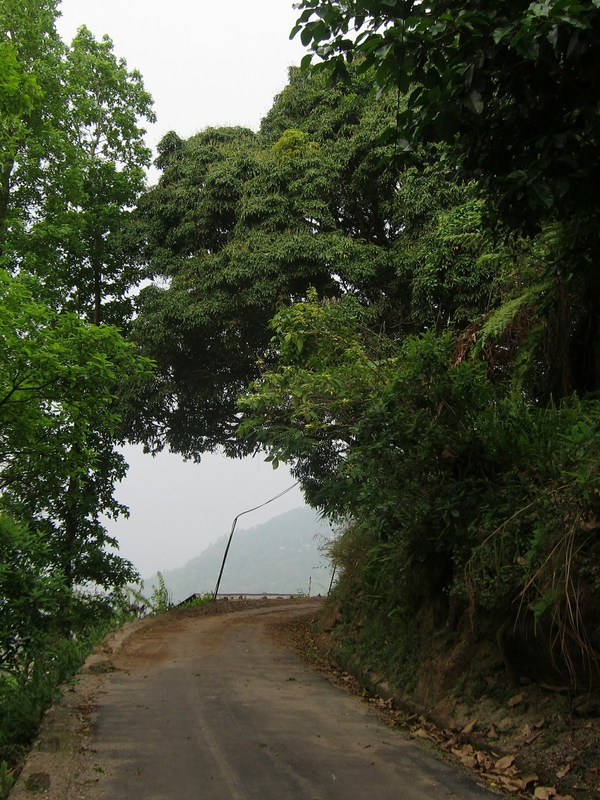 Mango tree overhanging the road. When I first arrived, the jeep dropped me off at Kisan’s home near the road. From there we climbed for 10 minutes up a steep flight of stone stairs, built by their father, to reach Passang’s home, where he lives with his wife and their eight year old daughter. Over the next few days we would climb up and down these stairs several times, and I was amazed at how quickly and nimbly Passang managed the stairs. 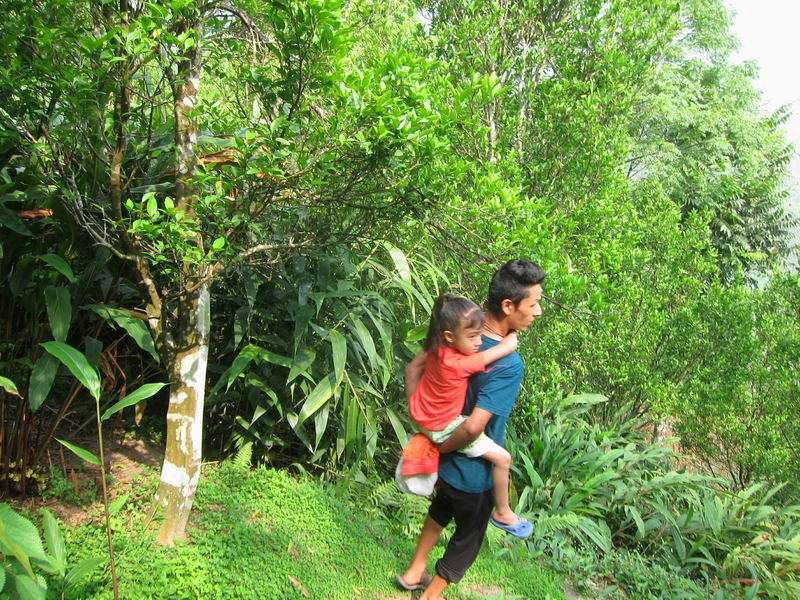 As I stepped slowly and carefully and lost my footing more than once, Passang would run up and down the stairs, even when they were wet, while carrying his daughter on his back! It was clear that he had spent his whole life on this land. In the two days I was with Passang and his family, he spent hours each day walking with me around Mineral Springs. As we walked he greeted his neighbors (and fellow Cooperative members) and pointed out to me both the cultivated and natural plants around us. He also explained some basic principles of organic farming and permaculture. I can’t remember the details, but he explained how growing certain plants near the tea bushes helps keep pests away from the tea, and he mentioned a natural pest repellant made with a concentrated liquid from a type of flower indigenous to the area. On his land Passang grows mostly tea, which he intercrops with other things like ginger, turmeric, cardamom, chili, oranges and even coffee. (See my prior post, “How Green is Our Tea?”). He grows both varieties of tea (var. sinensis and var. assamica) but no hybrids. 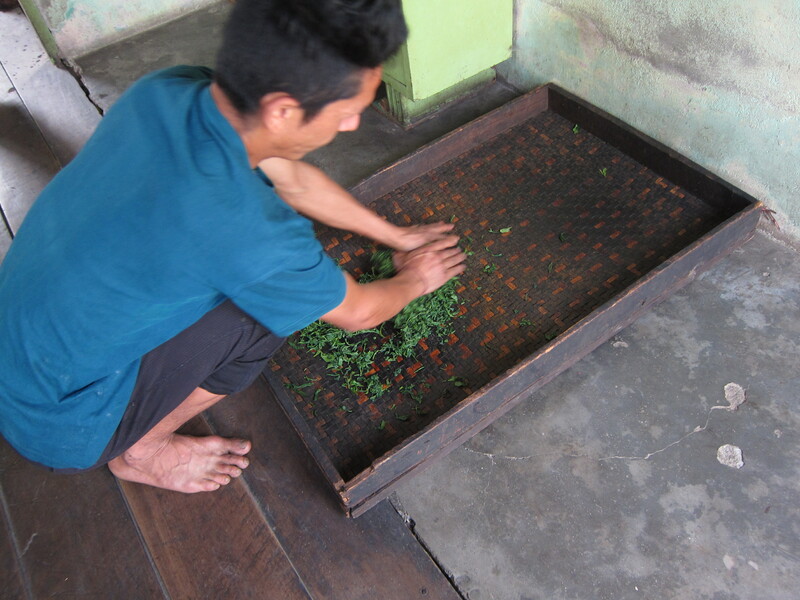 He sells most of his plucked tea leaves to a tea factory through the Cooperative, but he and his wife also process some tea leaves at home. Making tea by hand looks quite simple, but managing the process so that the tea comes out good is another thing altogether. I watched with great interest as Passang went through the various steps to transform the raw plucked leaves into finished tea. He explained each step and I asked a few questions here and there to get more clarity on what he was doing and why. 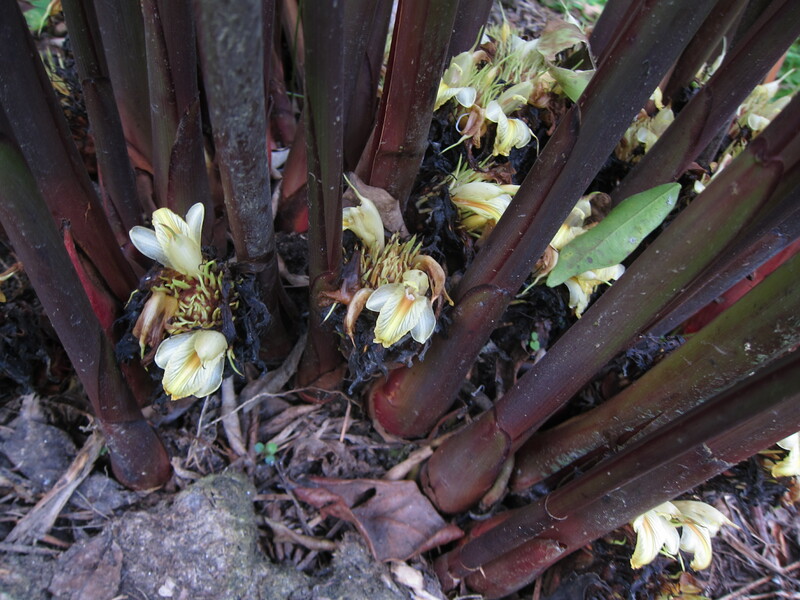 First, they are particular about which leaves they pluck (the preferred pluck is two leaves and a bud). 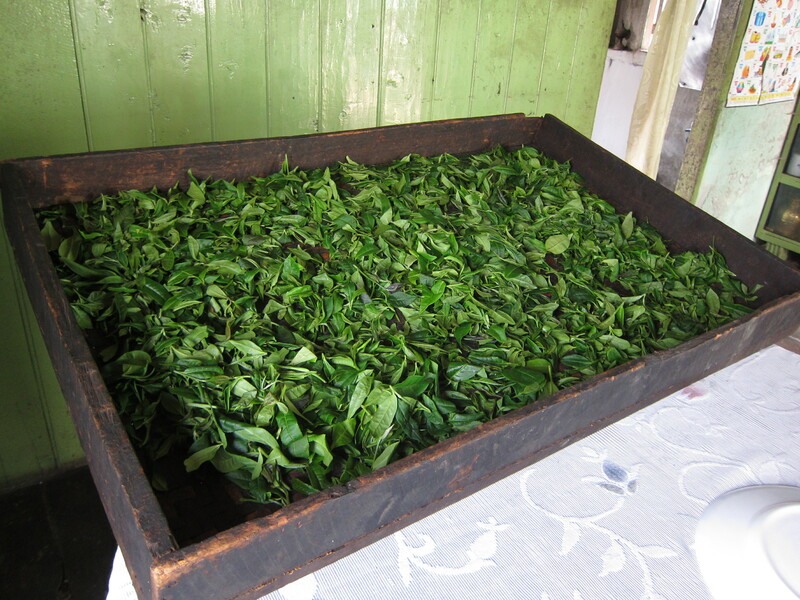 Next they set the leaves in trays to wither overnight. The exact time of withering depends on many factors such as temperature and humidity, and this is where the tea artist’s experience is crucial. They take a bunch of leaves in hand and give a squeeze and decide if it’s time based on the look, feel and smell of the leaves. After withering the leaves, they roll them by hand, to make them more compact and macerate them. This facilitates the next process, oxidation, in which the leaves are left out in the air to “brown” a bit. 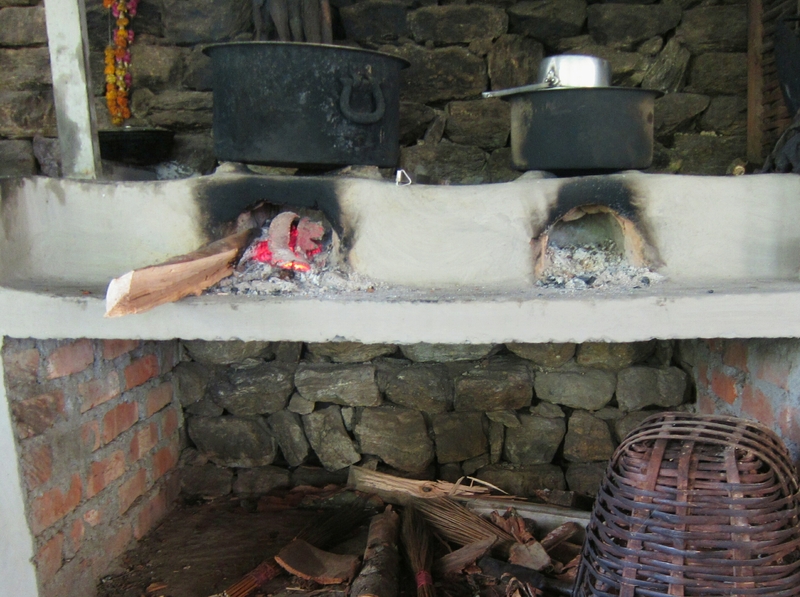 Finally they fire the leaves over charcoal in the clay oven in their kitchen. 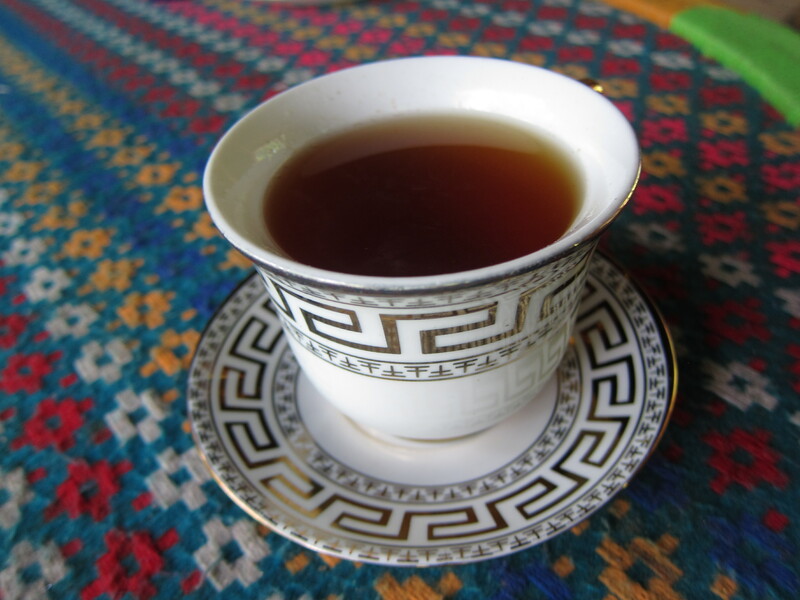 The end product is a strong black tea with some astringency and a smokey taste reminiscent of a Lapsang Souchong. Maybe I should call it “Passang Souchong,” after the tea maker! Having previously visited several large tea estates it was great to get a first hand look at the work of a small grower. Passang’s care, knowledge and professionalism were evident throughout. My next destination was to be Assam, which is full of large, monoculture tea plantations. Would there be any smallholders there? I made it my mission to find out. “Better to (be) deprived of food for three days, than tea for one.” Indeed! Fascinating. Reminds me of our stay at the Mojo Plantation in Coorg. They grew tea, coffee, rice, spices, etc. and experimented with organic pesticides. Sharad, fascinating as ever. Your use of the phrase Tea Artist is so right! 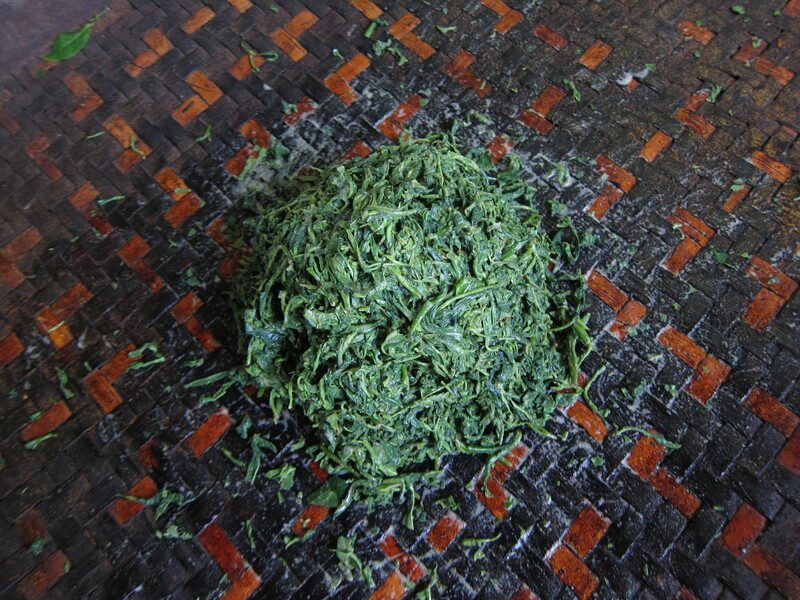 Reading about how Passang makes the tea, it is clear this more art than science. Your photographs continue to be great. I’ve said this before and I say it again – you must write a book! Wonderful, Sharad! How do these small tea growers survive? They work so hard to preserve their estates. Passang’s family must have enjoyed hosting you! Thanks for the comment, Mythri! It seems cooperatives help small farmers get access to bigger markets and distribution channels.